Store children's pacifiers on this plaque to keep them clean, minimize health risks and for safe keeping. 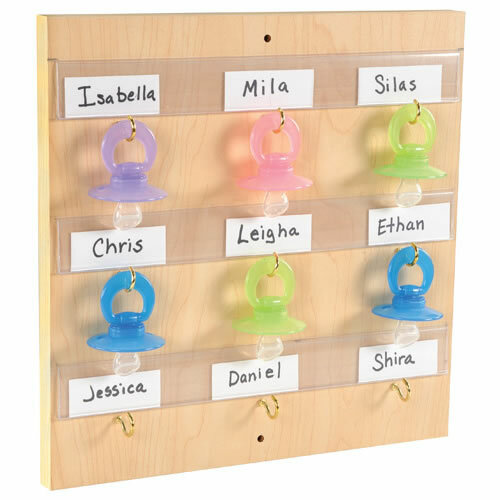 The pacifier holder has hooks for 9 pacifiers along with space for each of the children's names. Clean with warm water, soft cloth and mild soap. Assembly required. 12"H x 12"L.